determination of facts and methods of making changes in documents (rubbing, adding, changing of photos, letters) and identification of their original meaning. • Were any changes made in the text of a document? If they were, then how were they made (rubbing, adding, etching, correcting) and what was the content of the original document? • Was the photo in a document changed? • Were pages of a document (a contract, a copybook, a book, a methodical card) changed? Determination of poured, smeary, faded and other poor visible or invisible texts (images) on various materials also texts (images) on almost burned and burned documents on condition, that paper on which they are depicted, does not turn into ash. • What is the content of a disguised (painted, dirty, smeared, etc.) text? • What is the content of faded text? • Does the document contain (a piece of paper) invisible text and if it is, what exactly? • Does the document (a piece of paper) contain pressed, made by printing device (symbol-printing device, etc. ), strokes If they are, what is the content of a made by pressed strokes text? • Is there text on the burned papers and/or image? If it is, what exactly? • By what type of the writing device were handwritten texts (signatures) created? • How was the signature on behalf of a person put (name, surname, patronymic name), how was text of a document created (by technical means or writing devise)? • Were notes created by a provided for the research writing device (a ball-point pen, a pen, a pencil, etc.)? Determination of the relative remoteness of a document creation or its fragments as well as the sequence of drawing of crossing strokes. Approximate list of solvable issues? • Were the documents (fragments of document) written (created) at different times? • What is the consequence of creation of reference details of the document (a signature, a seal impression, etc.)? • Did the provided for the research fragments of a document form the single whole? • Did the provided for the research fragments of a document belong to a definite document (a way-bill, a cash issue payment, etc.)? • Was the provided document produced using montage with the help of computer devices or duplicators? • Were seized documents used for producing of the montage document? The identification of a person who typed the handwritten text, produced the image of the impression of a seal according to the peculiarities of performer`s skills. • Did the particular person draw the document form? • Was the seal, which impression was on the document, graved by a particular person? • Was the machine script typed by a particular person? 3.6. 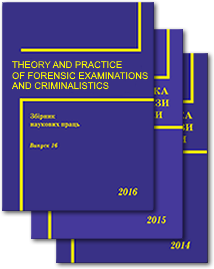 For commission an examination with the purpose of identification of the printed devices, comparative materials (free, also experimental samples- prints made by these devices are to be sent to an expert institution. Free samples are provided if it is possible and experimental-obligatory. Each type of sample is to be provided at least in three copies. Free samples are to be found from the prints that are as close as possible to the time of production of the researched print. Free sample are those that are created before the opening of the procedure of a case and are not connected with them. – comparability (the difference between images that are being compared, the same quality of paper). For conduction of an examination, it is necessary to provide documents with seal impression, that have been sent to the executive authorities, the registration system, license system, banking institutions, control bodies (tax inspection) with the mark of arrival to them (a stamp of an office of the institution, date of receipt, entry number, a signature of a worker of the office) in the period to which the date on the researched document corresponds. Samples are provided for each month, of different dates, including the date by which the researched document is dated. The adequacy of the quantity and suitability of sample is determined by an expert during the research. 3.7. If it is impossible to find free samples for identification of free samples that have the same time of production with the researched text, then it is to be determined if the machine has been repaired in the period between the creation of a researched text and free samples, what exactly has been repaired, in particular, whether the print has changed (fully, only part, which one)? Experimental samples of printing machine are to have all sings in order they are placed on the keyboard of the machine, show the maximum length of lines and intervals between them. It is also advisable during production of experimental sample to print sings in those combinations in which they are available in the researched text. If the researched text, is printed through a copy paper, then samples made by copy paper are to be provided. Free sample of seal (stamp) presses must be comparable with the time of application with the provided for research impression. 3.9. For the identification of cash registers, experimental samples must have all sings of the researched check. As free sample, checks, which are produced on this cash machine and have as many sings of a researched check as possible, are sent.It is important that the samples and the researched check have the smallest gap in the time of their production. 3.10. For identification of copying-and-duplicating machines, at least 5 copies of experimental prints made by them and free samples, which are comparable with the date of the production to the provided for the research documents must be provided. – free samples on several pages in the form of texts of the same type with the researched one (management letters, articles, etc. ), printed by the same person at almost the same time with the researched text. 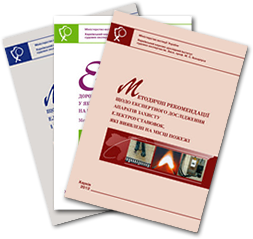 – 2-3 pages of experimental samples of text of the same type with the researched text, printed from dictation of a person who is under identification. Experimental samples are selected at least three times with the small time gap. It is increases the ability to determine relatively stable characteristics of a performer’s skills. 3.12. For identification of a person, who has drawn (cut) the printed form, free sample of impressions of the same type with the researched one (if it is possible) and experimental-performed by a person who is under identification from memory and by drawing from the original are provided. It is recommended to engage an expert (a specialist) for sampling. 3.13. Commission an examination to determine the conformity of the method of production of a form, other printing products to samples as the comparative material, the forms of authentic documents with the same printing data (a manufacturer, year of publication, circulation, order number) are provided. 3.14. To prevent damage, each of the researched documents should be stored in a separate envelope; small ones-in expended form, large ones – should be wrapped according to the folds. It is forbidden to bound documents, to make any notes, to underline or circle fragments that are subject to the research. 3.15. For commission examinations of documents produced by copying-and-duplicating machines, it is necessary to take measures for preserving it the condition, in which it was during seizure. It is forbidden to carry out such equipment before its commission for the examination. 3.16. To solve identification tasks with documents produced by computer devices, these devices are provided as a set (a computer system unit, installation disk with printer driver or multifunction device, connective and network cables, printer). Before sending computer devices for examination, it is forbidden to use it at all. Identification issues are solved within the complex compute-technical examination and technical examination of documents, if the electronic original document (file) is available. 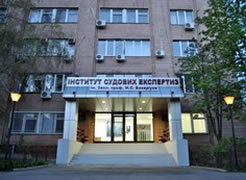 The seizure of computer devices, their examination should be conducted with the participation of a specialist in the field of computer technical research. 3.17. Printers (especially ink-jet ones) are to be sent for examination as soon as possible, as fixing of the dye can lead to changes in the form and nature of the dye application on the paper. 3.18. For commission of examinations of documents produced by computer devices, it is necessary to find out whether the removable parts (cartridges) were changed or whether knots of printers were repaired. If cartridges of laser printers were changed, it is necessary to take measures to find used cartridges and provide them for the research. For conduction of examination, it is necessary to seize free samples that have been produced on a seized printer during the same period of production of the researched documents.